Want to see how your app's conversion rate compares with other apps in your category? Log into your Google Play Console, navigate to user acquisition and you'll see a new data point in the table, showing where your app's organic conversion rate is compared to the median conversion rate from your category. Only comparing your app to other apps with the same monetization model (free, paid, in-app purchases, subscriptions). Breaking out different conversion rate percentiles, above and beyond the median. Google also offers some proactive optimization tips in this benchmark UI, such as suggesting localization for countries where your app's conversion rate is below the category benchmark. Indicating how many more installs you could have driven at a higher conversion rate. 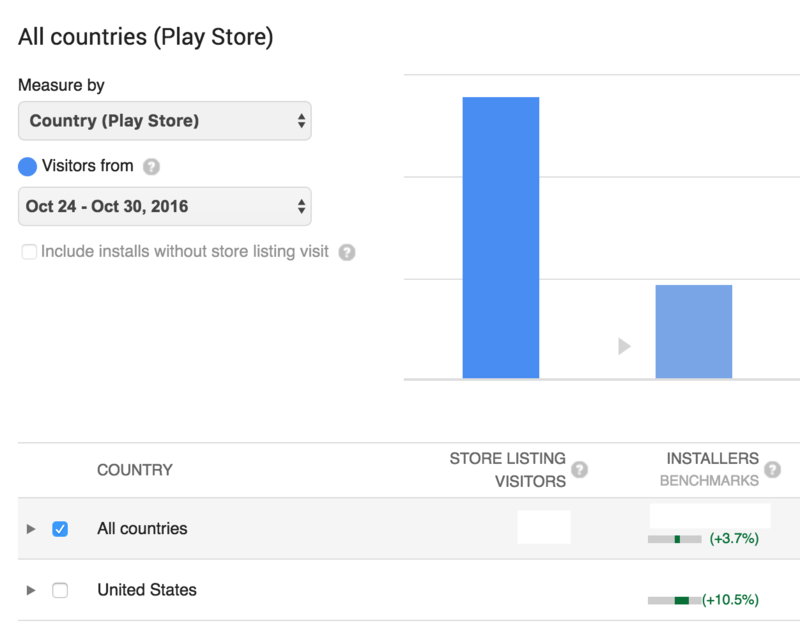 This data is useful for determining how well your app is able to convert store visitors into actual installs. If your conversion rate is below the median, you'll need to work a little harder to improve your listing's appeal. If your conversion rate is above the median, it's time to capture more visibility on additional keywords, or run some ads, given your app is more likely than others to convert store visitors into installs. Use this data to help back up your A/B test findings and ensure after applying results, that your organic CVR is posting gains against your competition through higher benchmark performance. Look at each of your countries to determine which perform the best, and focus your efforts and dollars in those countries where you have a competitive advantage. Also, draw best practices from what appears to be working well in these countries and apply those learnings to your other markets. Google reports on the median conversion rate benchmark, rather than arithmetic mean, which can cause outlier apps whose conversion rate is very high to appear more innocuous. Yet, when considering that the top ranks for the app store are a zero-sum game where being top 10 is the end-game, this can make your app's performance appear better than it actually is and cause problematic complacency. 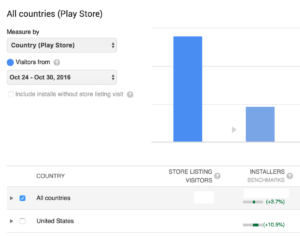 If your app primarily draws traffic from one particular country (e.g. the US), make sure to drill-down into that country before looking at your benchmark number, given non-core countries could skew your performance downward. Naturally, installs sometimes ≠ users. You still have to activate those installs into actual users, and retain your users to succeed. For apps with more reliance on branded searches, conversion rate may be skewed a bit higher.